New Improved 3/8 inch thick UV Resistant "Heavy Duty" Plastic Crop Catching Fingers guide the crop into the header, reducing shatter losses and saving more grain. Proven especially effective in high population milo. 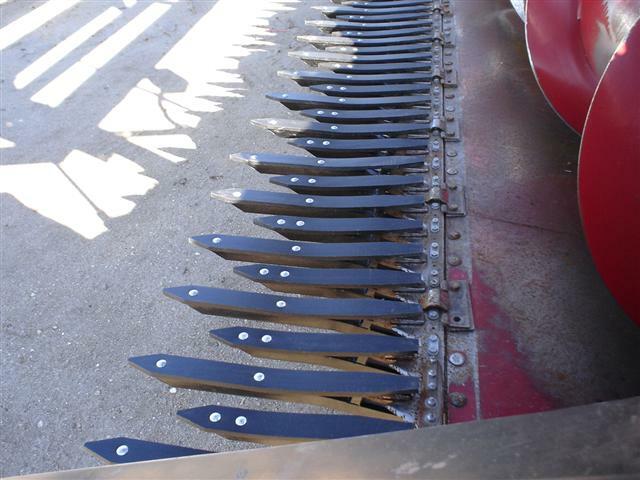 The tapered plastic at the cutter bar allows greater sickle cutting width, while 17- and 13-inch staggered fingers allow crop flow into the header. A 12-degree downward bend allows the finger to be lower than the cutter bar. 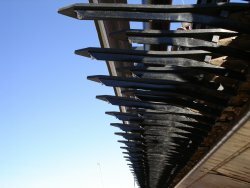 Milo guards for standard small grain header with guard points on 3" centers. Also available on 4" spacing for John Deere Draper Guard.